“Mom, am I white? Am I black? What color am I?” These are questions my youngest recently asked me. It’s easy to give simple answers, but what is she really asking? I wonder if she wants to know how to place herself in her community or if our color even matters. We are a bi-racial family living in a predominantly white community. My husband is ethnically Singhalese/Tamil from Malaysia, and I have roots in Northern and Western Europe. If my kids hear nothing else surrounding this issue, I want them to know that our difference-- whether evident by color or not-- is good because God created us with different ethnicities. Diversity is His design and His delight. God isn’t color-blind. In fact, John’s vision in the Book of Revelation of people from every tribe and tongue praising God shows us that one day our resurrected bodies will continue to reflect that diversity in a way that glorifies God. We’ve been reading books to our kids since they were small, but I recognize that they have mostly been those written from the perspective or experience of a white person. Those written in modern times are usually quite relatable to them, but I ponder what it communicates to my kids when they rarely read a book with a protagonist of color. I desire for my kids to see diversity not ignored but celebrated! I’ve been on a hunt to find good books with characters from diverse backgrounds. Some of these stories are set in other countries, but many feature the lives of Americans of non-European ethnicity. Join me in reading some of these delightful stories to your kids! This sweet and uplifting story highlights the journey of Chinese immigrants who move to America and make their home in the Midwest. 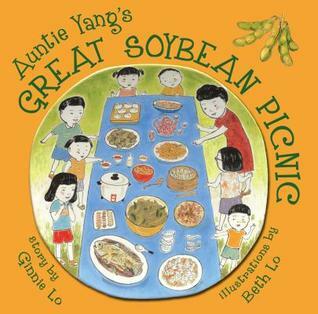 A Chinese-American girl finds her favorite food growing in Illinois - soybeans - through her Auntie Yang. They start an annual soybean picnic that eventually becomes a yearly community event. I love how this book highlights a cross-cultural, intergenerational family and the story is written and illustrated by two sisters who are Chinese immigrants. You gain a sense of warmth and connection within their family as they seek to stay connected to their Chinese culture. As a bonus, you’ll also learn about soybeans and have the opportunity to see pictures of the real family in the back of the book. A beautiful story featuring the closeness of a African-American grandma and granddaughter who worked together to complete a quilt made from the family’s scraps of old clothing. Each piece helps the family remember their stories and history and how they came together to create a beautiful work of art. It’s heartwarming to watch how Tanya, the granddaughter, recognizes that it’s difficult for her grandma to sew and cut, and steps in to help the project come to completion. I sensed the warmth of the family primarily through the lovely illustrations. It’s also a Coretta Scott King winner. 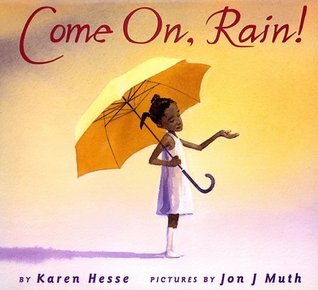 The School Library Journal said, “Newbery Medalist Karen Hesse recreates the body and soul-renewing experience of a summer downpour after a sweltering city heat wave. Lyrically written and lovingly illustrated." I couldn’t agree more! This well-written, poetic story-- filled with metaphors, similies, and alliteration-- is about a young girl waiting for rain in an urban area. Rain finally comes and the young girl, Tess, and her friends celebrate by going outside to play in their swimsuits. This heartwarming story is about the life of an African-American man who felt it was part of his calling to clean up the streets of New Orleans in the aftermath of Hurricane Katrina. Reading like a contemporary folk tale, Cornelius Washington illustrates resilience and determination as he does a seemingly insignificant job. Not only does get the job done, but he seems bent on dancing through it and lifting the spirits of those around him. You could have a myriad of discussion with your kids after reading this book. We could ask questions like: What does it look like to steward our time well? What could it look like to rise up in a time of catastrophe? "This is God's very good idea: lots of different people enjoying loving him and loving each other." We are all different, and God intended it this way. Newbell writes a story about the value of each person regardless of race, interests, or speech. “God carried on creating people. All of them were made in his image. And all of them were different too. Some were men, and some were women. Some liked reading, and some liked riding bikes. Some had darker skin, and some had lighter skin. Some had curly hair, and some had straight hair." Newbell not only depicts diversity in the body of Christ, but she also shows how all people fall prey to sin in this broken world. We all need Jesus to redeem us, and we await the day when He will make all things new. What are your favorite culturally diverse books? Tell us in the comments below! !